You can see a thicket of eucalyptus trees on your way to one of the mini watersheds of River Kumudavathi in Bengaluru Rural district. Ever since the tree was introduced in Karnataka in 1960s, it spread to thousands of hectares. Some even say that its history goes back to 1790 when it was first planted by Tipu Sultan, the ruler of Mysore, in his palace garden on Nandi hills. While the main purpose was to "reclothe the denuded and barren hilly areas and replacing low value natural forests", the idea backfired. The same tree is now responsible for lowering groundwater levels in the region. "Eucalyptus was also promoted by the textiles and paper industries without knowing the damaging effects. 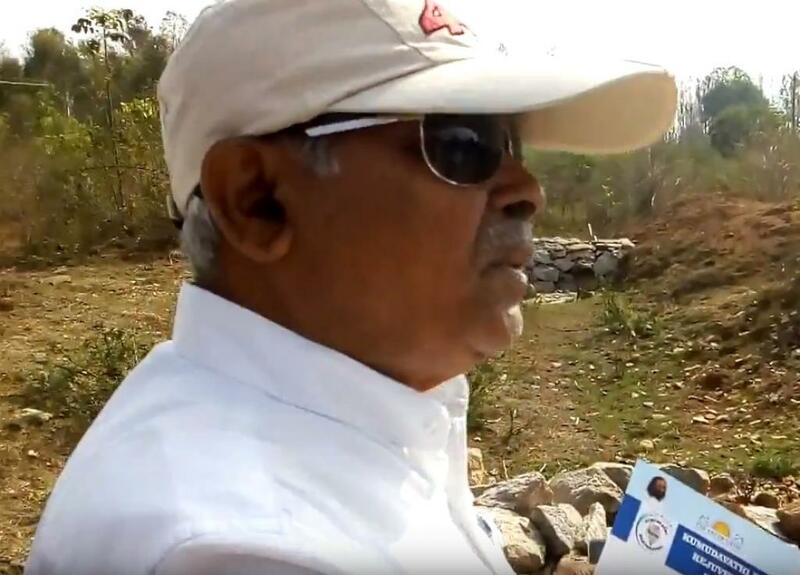 It is no longer wise to continue eucalyptus plantations in these districts if we want to protect the groundwater resources," says Lingaraju Yale, ex-director of Karnataka State Remote Sensing and Application Centre. Yale is currently heading a seven-year-long river rejuvenation project under the banner of International Association for Human Values founded by Sri Sri Ravi Shankar. The project aims at bringing back River Kumudavathi—a tributary to River Arkavathy—to life by recharging ground water. What’s the project all about? 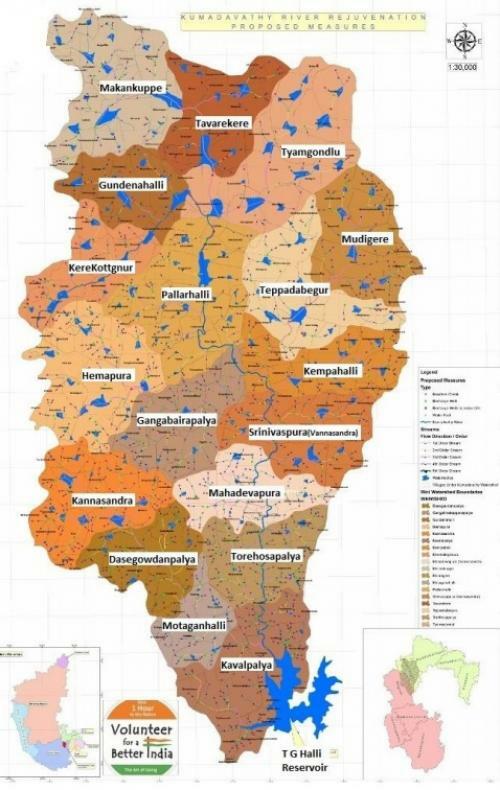 According to Yale, 18 mini-watersheds have been planned over the whole river basin that's spread across two districts: Bangalore Rural and Ramanagar. A total of 278 villages, covering an area of 460 sq km, will be benefitted by the project. When Down To Earth visited Tavarekere and the adjoining sites where the project is being undertaken, it became evident that the rejuvenation plan has been conceived taking into consideration traditional methods of water conservation. 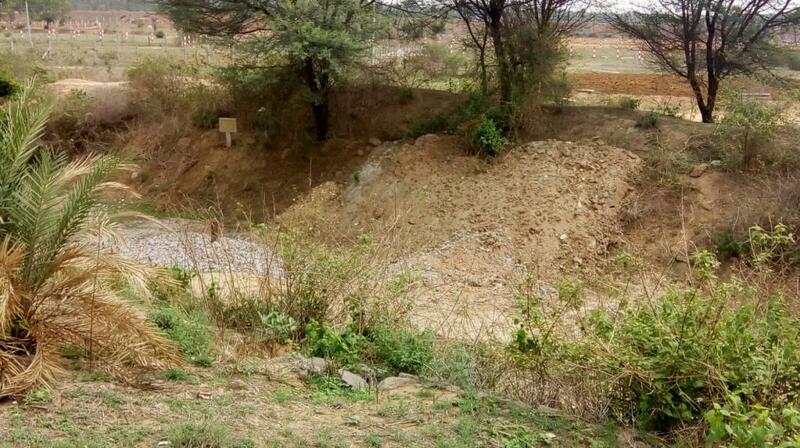 Water pools of 20 x 20 metres and a depth of five metres have been built along the streams to sustain water even in mid-summer and improve groundwater potential in the surrounding wells. The water level, according to locals, hasn't gone down in the last three summers. Recharge wells are being created to recharge shallow aquifers and injection wells have also been built at scientifically identified locations to recharge deep aquifers and bring up the water table in the catchment areas. "We are building injection wells at varying depths (350 to 500 ft) depending on hydrological profile so that the water reaches the permeable rock, fill the deep aquifers and support the surrounding borewells," says Yale. Boulder checks have been laid across the stream paths not only to slow down water flow but also hold the water for more time to allow percolation, leading to increased soil moisture. Planting trees along the river course is an important part of the plan and at least 45,000 plants have been planted to control soil erosion and increase soil moisture. "We have deliberately avoided planting exotic species. All you see here is tamarind, blackberry, jackfruit, arali (sacred fig), neem, torematti, mahogany and others. 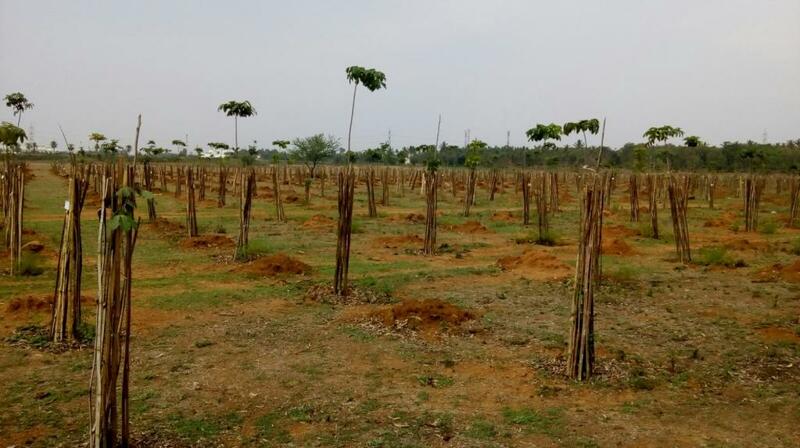 These plants help in long-term soil restoration and enhance water absorption. By planting indigenous species we are opening up opportunities for villagers to pursue alternative livelihood and develop a small-scale industry around them," says Yale. The Thippagondanahalli Reservoir, a major source of drinking water for western Bengaluru, used to supply 30 per cent of drinking water to the city even two decades ago. Located at the confluence of the Arkavathy River and Kumudavathi River, this reservoir had become nearly dry. Revival of Kumudavathi has the potential to see the reservoir once again brimming with water. According to Yale, there are several factors that interfered with the natural recharge process, with deforestation and loss of traditional knowledge being the major ones. "Our project is in tandem with nature. We are not using energy to divert water from one place to another, but trying to find answer to water scarcity by studying lineaments," he posits. The results of the rejuvenation activities in eight villages have been encouraging. 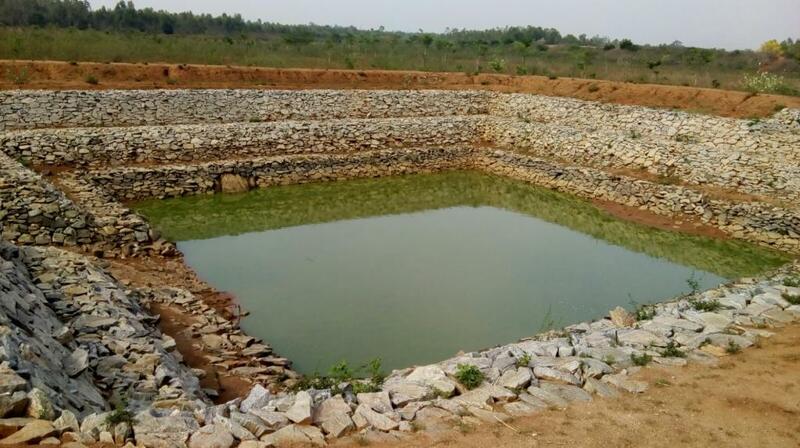 The residents of Makankuppe, Tavarekere, Mondigere and Teppadabeguru villages, on the outskirts of Bengaluru, have witnessed improved water availability in tanks and lakes ever since the project flagged off in the spring of 2013. Now, local communities are gradually taking up the responsibility for restoration in their villages. Nine gram panchayats have also pledged their support. But the beginning wasn’t easy. "Initially, the villagers were suspicious and they showed resistance. They even tried to stop our cars from going to the project sites and do a study. But over a period of time, they realised that what we are doing will ultimately benefit them. You have to first show them some results before you can expect them to support your cause," quips Yale. The estimated cost for developing all the 18 mini-watersheds is Rs 40 crore and the project is expected to complete by March 2019. Great work. Hats off to Dr. LINGARAJU and his team for the magnificent efforts. Will you kindly permit me to translate this article and send it to one of the Kannada magazines. An amazing transformatin taking place in the water conservation and river rejuvenation.All this doe to the dedicatio of Dr Lingarju Yale bacled by the team of Sri Sri Ravishankar of Art of Living Founfation.You can say is going to be real wtershed in the the history of Karnataka. Definitely cues will be taken from this by others in this direction. I appreciate your efforts to revive the dry rivers. You need to spread the messages to masses through media.